Hundreds and thousands of homeowners across the globe have lost their most cherished valuables due to the devastating effects of a flood. Whether a flood is caused by ground water, falling water, or a home water system malfunction, there are certain things you’ll want to do to ensure the safety of your home and family. There are also steps you’ll need to take to ensure the best possible outcome with your insurance company as well. In this blog, we’ll look at a few important things to do after a flood. At Branson Enterprises in Lake Jackson, we’re proud to offer some of the best residential and commercial restoration services to our clients across Texas. If your home or business has suffered from a flood, our restoration professionals can help restore your building and belongings back to normal. Contact us today to learn more about our services or to speak with one of our friendly representatives. Before you remove any water or contact a restoration professional, make sure you take photos of the damaged structure and belongings. Digital photos and videos are best because they can be stored electronically and can be easily copied to give to your insurance agency. If you start removing water from the area, you could potentially decrease the extent of your insurance coverage. Even if the water in your basement is from rainwater or is completely clear, that doesn’t mean it hasn’t been contaminated with sewage or other household chemicals. Most restoration professionals recommend wearing waders and hip- or waist-high waterproof boots as well. Make sure to wear rubber gloves if you plan on removing any excess water yourself. This will help you avoid coming in direct contact with any harmful contaminants that may be nearby. 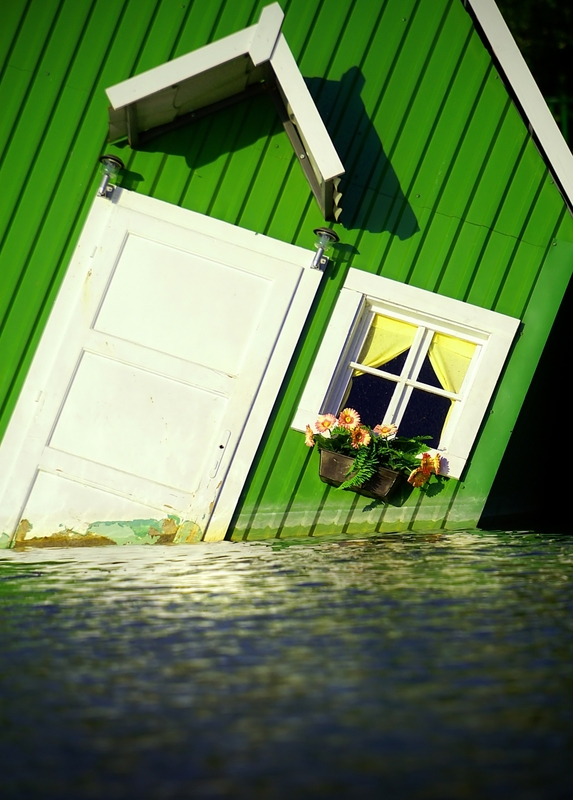 You should notify your insurance company as soon as possible after the flood has occurred. It’s always a good idea to keep your insurance company and local agent’s phone number on your refrigerator. In the case where the flood has affected a large region or community, your agent may be very busy handling his or her flood issues as well. In a case like that, contact the insurance company’s headquarters. When you speak to your agent, make sure to advise them on any repairs that you may need to immediately tend to. Be sure to follow the insurance agent’s recommendation on whether or not to wait for an adjuster to inspect the property before making any repairs. If your home or commercial property has suffered from the devastating effects of a flood, it’s critical to contact a local restoration company right away. 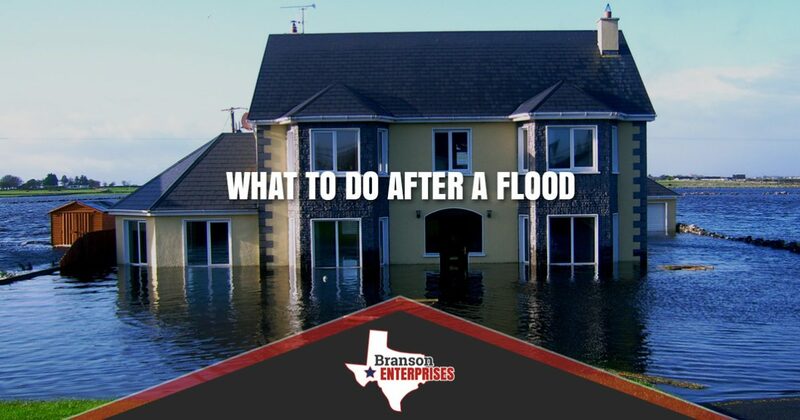 At Branson Enterprises, we’ve helped hundreds of homeowners and business owners successfully repair their property after flood and water damage. When you contact our flood restoration experts, we’ll do everything we can to help restore your property and belongings back to normal. Contact our restoration experts today or browse our gallery online to see some of our restoration work.